About two weeks ago, we finally went back to the zoo. We hadn’t renewed our membership and hadn’t gone to the zoo all summer! 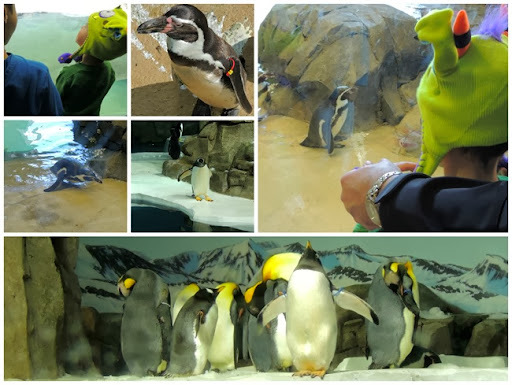 We knew we had to go back though, when the penguin exhibit opened. 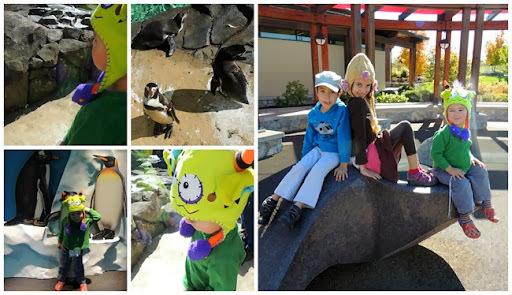 All of us love penguins and we were so excited to see them. The zoo has 4 types of penguins – King, Gentoo, Humboldt, and Rockhopper – and they are all adorable. Even more adorable though is my cute littlest boy watching the penguins in his awesome Flipeez hat! 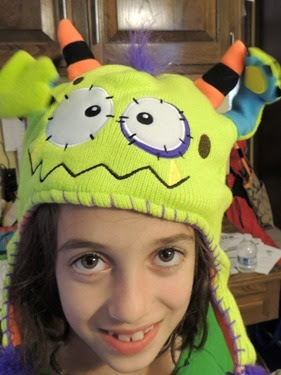 We received this cute and comfy Peek-a-boo Monster hat from Idea Village and though they are one-sized-fits-all, Simon quickly adopted it as his. From the makers of Stompeez, the slippers that pop-when-you-walk, Flipeez come to life when you squeeze the puff ball in the tassel. 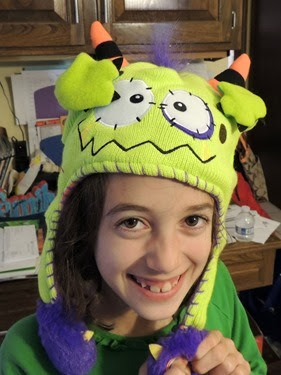 Since Simon doesn’t stand still for pictures, here is Gabbie demonstrating the hat with the arms down, and then (partly) up! You can also see them up in the top right picture of Simon above. We all really love the hat and love how cute it looks on Simon! We received this product in return for our review. No other compensation was received, and all opinions are our own.